Contact a PB Band student or parent to participate in one of our current fundraisers. 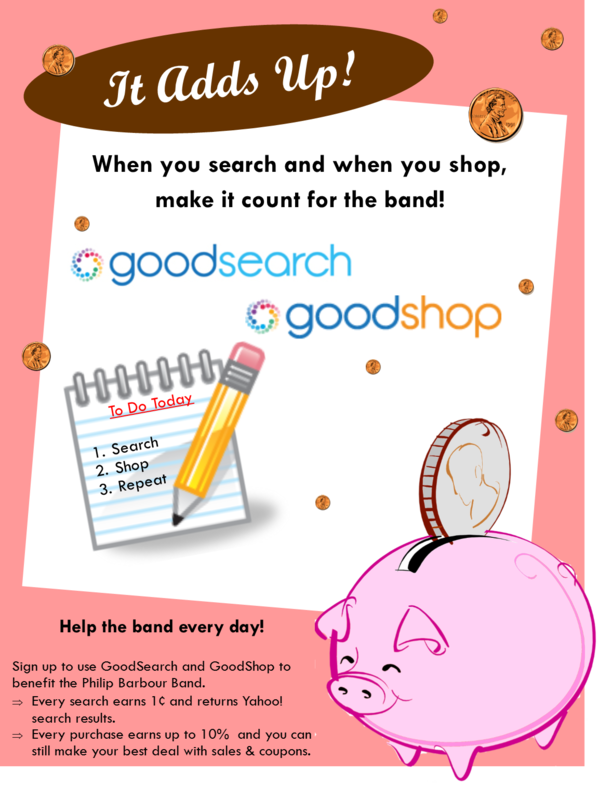 While we offer monthly individual account fundraisers, and have regular general account fundraisers, supporting the Philip Barbour Band is something you can do every day, simply by using GoodSearch.com and GoodShop.com, and selecting "PB Band" as your charity. Our current individual account fundraiser is for flower bulbs and runs from March 19 to April 9. Delivery is at the at the PB Band spring concert. You can ask any PB Band member family to place an order. A copy of the brochure can be found here. Proceeds from this sale benefit the students' individual accounts.